The national energy and climate policy debate is broken. If it doesn't get fixed, any new policy at the city, state, or national level may very well fail to address America's energy challenges in any meaningful way. whether our deployment policies are correctly aligned with our technology development policies, and whether there is synergy among our energy policies that creates a competitive U.S. energy market without long-term policy support. To be clear, this is not saying R&D is the only policy needed. Making innovation the default choice ensures that our suite of policy choices - from basic science through market creation - are correctly working together and are receiving the right amount of support to boost innovation, thus affordable clean technologies and economic growth. But doing do isn't straightforward. Part of the problem: in many cases, the failed approaches and ideologies of years past are still limiting or outright stifling progress on climate and energy policy. Specifically, advocates are relying on misguided default policy choices to inform their arguments to the detriment of supporting the nascent clean economy. And the problem is bipartisan. On the left, a wide swath of climate advocates still cling to the idea that a price on carbon/cap-and-trade/command-and-control approach is the correct method for driving the adoption of affordable clean technologies and reducing emissions. On the right, a wide swath of advocates still cling to the idea that government has little role in supporting groundbreaking industries like clean technology and doing so is nothing more than "picking winners and losers." Take for example the recent and ongoing FY2012 federal budget debate. Budget austerity is running rampant through Congress and no program - whether it's vital investments in economic growth or not - is safe. Key energy innovation programs like ARPA-E, the Office of Science, and R&D programs for advanced nuclear energy, advanced solar, electric vehicles, and the like are threatened with cuts at a time when we should be doubling down on our investments to accelerate development of affordable, breakthrough clean technologies. But during the amendment process for the House Energy and Water appropriations bill, more time was spent debating the efficacy of a light bulb efficiency standard than trying to find ways to support vital energy innovation programs. And it showed - the final House appropriations bill proposes to cut these programs by 12 percent and if it weren't for a last minute bipartisan effort to return ARPA-E to FY2011 levels (albeit low levels), the outcome would have been worse. Imagine if the full energy budget appropriations process was about debating targeted investments in energy innovation? At the end of the day, supporting breakthrough technologies holds more promise for drastically reducing emissions, reducing oil imports, and potentially boosting economic growth than does just efficiency standards, but the budget debate fails to reflect this reality. Another key example is many climate advocates rigid, myopic focus on putting a price on carbon. As my colleague Matt Hourihan laid out in detail, you cannot fully solve our energy challenges without a clean energy portfolio approach that includes affordable, breakthrough technologies, yet you don't get breakthrough technologies from a price on carbon. Yet that hasn't stopped climate advocates from continuing to put carbon pricing policies front-and-center. Thomas Friedman continues to espouse the need for a carbon price, even though he admits breakthrough technologies are needed (he just doesn't understand how to spur innovation). The Environmental Defense Fund - a key national climate policy advocate - continues to argue that we won't drastically limit climate change until we set a carbon price or carbon cap. And national environmental policy leaders like Daniel Esty think all that's needed to move the country towards a green economy is a carbon tax. Not only would implementing a carbon price alone not work (h/t Tyler Cowen), emphasizing a carbon price alone only hurts addressing our energy challenges by swaying the energy policy debate away from actual methods of spurring affordable energy innovations. And part of the problem here is a misconception about the readiness of clean technologies. The mantra for many on the left is that the United States has all the clean technologies it needs. Within this framing innovation isn't necessarily a high priority and all that's necessary is to push those technologies to market through deployment or leveling the playing field through carbon pricing. But the fact is we simply don't have the technologies we need and further basic research and RD&D is needed to get us the affordable, high-performance technologies necessary to allow us to meet our energy challenges in the coming decades. This reality is echoed by industry titans like Bill Gates, John Doerr and Ursula Burns. It's understood by clean energy leaders like Arun Majumdar and DOE Secretary Chu. And detailed analyses by organizations like the IEA have explicitly discussed the need for significant technology development to reach deep emission reductions. Many advocates and policymakers also fail to recognize the vital, but limited role government plays in spurring breakthrough technology development and deployment, shown most clearly in the recent Solyndra-Loan Guarantee Program debate. On the right, many members actually support government loan guarantees. For instance, Rep. Barton (R-TX) stated so directly during a recent House Energy and Commerce Committee hearing and many members support guarantees for their own state's clean energy projects. But that support is fleeting as many on the right also negatively equate government support for innovative clean technologies as "picking winners and losers." Yet government can support clean technologies without actually making micro-economic decisions. Supporting a portfolio of innovative technologies through R&D and valleys-of-death investments (like loan guarantees) isn't picking winners and losers; it's ensuring that winners can exist at all. Innovation policy doesn't choose national champions, but makes targeted, high-risk investment bets the private sector is not willing to make that could help propel an entire new industry. Sometimes those investments fail as any venture capitalist would tell you. So defaulting to old scare-tactics about the heavy-hand of government does nothing but stifle U.S. innovation and competitiveness at a time when we need much more of it to boost economic growth. And for many more on the right they believe that even if we need clean technologies, the market alone will get us to where we need to be. As Thomas Friedman and Michael Mandelbaum put it in their new book That Used to Be Us, "[many on the right] assert that the key to our economic future is to close our eyes and click our heels three times," and miraculously the market creates innovation and economic growth. But what they're missing is the history of American technology development. According to University of California, Davis Professor Fred Block and Southern Methodist University Professor Matthew Keller, the United States has traditionally used a "hidden developmental state" to develop innovative new technologies. In other words, the government has always played an active role in technology policy with the private sector, but policymakers never openly advertised it for ideological reasons. America's energy challenges - and the short time scale allotted to solve them - require this hidden development state to be reinvigorated with significant public investments and reform. The market cannot do large, complex, breakthrough technology development on its own and it never really has. Simply put, our climate and energy policy priorities and ideologies are out of whack. So let's try something new. Let's make innovation the default policy choice in any and all climate and energy policy debates. To start, let's ditch the preconceived notion that a carbon price or command-and-control policies are more important to our energy challenges than supporting technology development and ensure that both are working in synergy. So it's not to say that's a carbon price and deployment policies don't have a role in innovation policy - they do and should. It's to say that these policies should play a well-aligned, complimentary role in supporting innovative technologies and not as the central climate and energy policy. The debate should be about how best to use loan guarantees or tax incentives or regulations to support competitive, innovative technologies and it's a debate that needs to happen now. Another place to start is to have an open and honest discussion about the role of government in spurring innovation. Government has a proactive and limited role to play that requires public investments and collaboration with the private sector. The United States has done this before to develop the last century's worth of breakthrough technologies and we have to do it again. Its fallacy to think the market can do it all on its own. So the debate should be about how best to leverage the public and private sector together to support competitive, innovative technologies and it's a debate that needs to happen now. 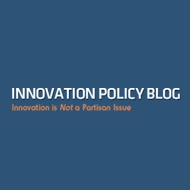 Yet at first glance, advocates on both sides of the political aisle may say, "but we do support innovation!" And to a very small degree everyone does (unless you're a Luddite), but that support is shallow. In fact, when push comes to shove, most advocates in the climate and energy space give nothing but lip service to supporting innovation. By default, other policy choices take a much higher priority and it clearly shows in our policy discourse. This needs to change. Innovation must receive greater emphasis in the debate; less the "coming clean energy crisis" that University of California, San Diego Professor David Victor warns of will come true. I agree with the author, but waiting on policy makers to lead the way is just asking too much. Private investors, and business leaders are turning innovations into reality. Take Ocean Thermal Energy Conversion for example, the Bahamas just signed a deal to build two OTEC plants. Greatly reducing the islands energy costs, and carbon footprint. Get all the info on the deal here... http://tiny.cc/iynknOTEC power is truly inspiring stuff, and the people creating it are not waiting on any policy makers to pave the road for them, they are changing the world themselves.